Applied Materials is the world’s leading maker of semiconductor equipment. 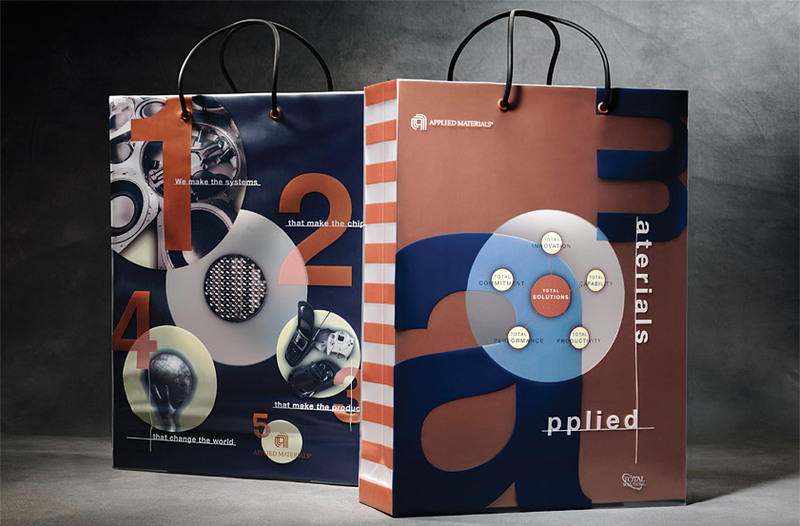 Our solution reflects the company’s innovation in silicon wafer manufacturing processes in the the bag’s unique combination of materials and unusual construction. A die cut hole visually ties together the company’s “Total Solutions” and “Complete Systems” messages.